It’s tough enough when a loved one passes away. But in the aftermath, your potential responsibilities, especially if you’re the executor of a will, can be confusing and challenging. Every situation is different, and the laws vary from state to state, so your first stop is probably to determine whether you need to hire a lawyer. 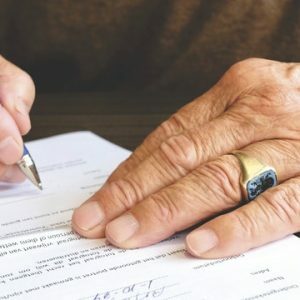 And over at AgingCare.com, you’ll find a basic guide to estate administration that may help you work through some of the questions you need to answer to guide you in your responsibilities. You may have to deal with everything from submitting paperwork to a court to collecting assets, paying bills and filing tax returns. One major concern that many relatives encounter are the debts their loved ones have left behind. Recent data show that debt among older Americans is on the rise and nearly 1/2 of seniors die with less than $10,000 worth of assets. Could you be responsible for paying off the debt remaining? Not likely, but it definitely depends on the circumstances. To find out more, read Here and Here.